Brussels - 23 April 2018 - With its proposal to ban neonicotinoids, including in pelleted beet seed, DG-SANTE, followed by some Member States, deliberately ignore data gaps in the European Food Safety Authority’s (EFSA) impact assessments as well as recent evidence with regards to sugar beet. European Beet growers repeatedly presented their case based on sound analysis and facts. Commissioner for Agriculture Phil Hogan said also publicly that he “would be in strong support for a derogation. The science and all of the studies that have been carried out actually favor a derogation for sugar beet,” Phil Hogan told POLITICO in an interview at the Forum for the Future of Agriculture in Brussels. “But,” he conceded, “it’s a difficult issue. It’s gone through a lot of hoops in terms of science and politics.” Indeed, for political reasons and fear of public opinion, a ban of neonicotinoids in pelleted beet seed could be adopted by the Scientific Committee for Plants, Animals, Food and Feed Committee on 27th April. Such a ban would be a severe blow for beet growers. Contrary to DG SANTE’s claim, they would be forced to go back over 20 years and to resort to far less sustainable practices to control pests: i.e. massive and cost-intensive spray treatments more harmful to pollinators, including bees. But not all growers will be able to afford additional costs and high risk of crop failure. 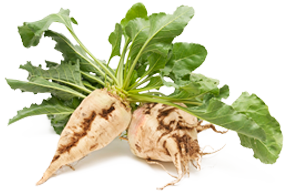 It would therefore be extremely damaging for the sustainability of the beet sugar industry. Most investments made during the past decade would be undermined at a time of extreme difficulties for the sector. The irony of the situation is that it would be precisely among the most competitive countries, where growers pay great attention to implement the best good practices in particular for pollinators that would be most affected. The irony of the situation is also that sugar produced in third countries with massive applications of pesticides and genetic modification would land on European consumers’ table. Who would be accountable for this mess? Who would be ready to support financially European growers and family farms affected? - amend, on the basis of the risk-benefit analysis of the use of neonicotinoids in pelleted beet seed by French Agency for Food, Environmental and Occupational Health & Safety (ANSES) and of the case for neonicotinoid in pelleted sugar beet seed put forward by CIBE, the proposals for the Commission Implementing Regulations as regards clothianidin, imidacloprid and thiamethoxam and propose a derogation for sugar beet pelleted beet seed until sustainable alternatives become available for beet growers.